The last minute goal. It can lead to a different number of emotions depending on the context. If your team concedes to draw, it’s disappointment. If your team concedes to lose, it’s despair. But if your team scores to win, it is joy and quite possibly delirious happiness. 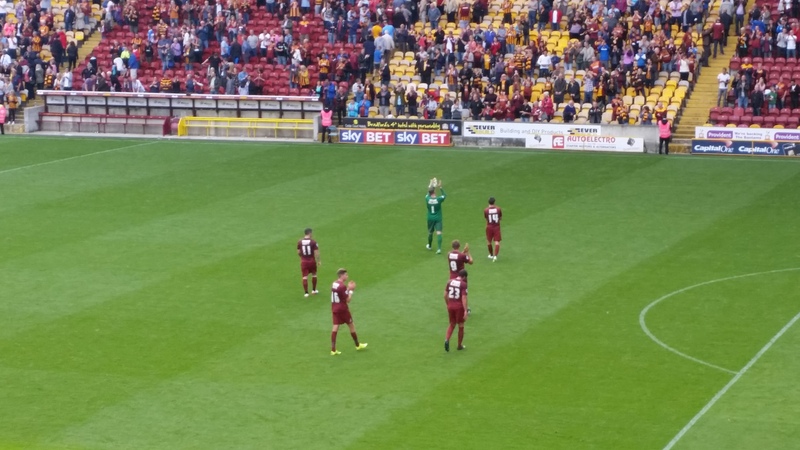 It certainly was the latter here and, throw in some feelings of relief, and it was an emotional end to a quite ordinary game at Valley Parade. The game changer. The man. Who was it? ‘Devante….. a fighter of wrong’. Of course, it was Mr Cole Jr. Devante the debutant. He fought to be in the right place at the right time. To convert and to win. 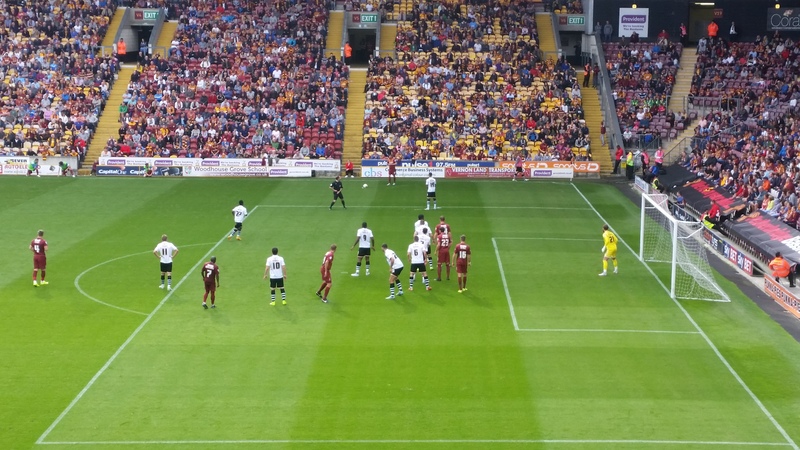 It was written in the script and Cole, the son of former Manchester United and England striker Andrew, immediately won the hearts of the Bradford fans with a late, late goal to finally get the Bantams off to winning ways. 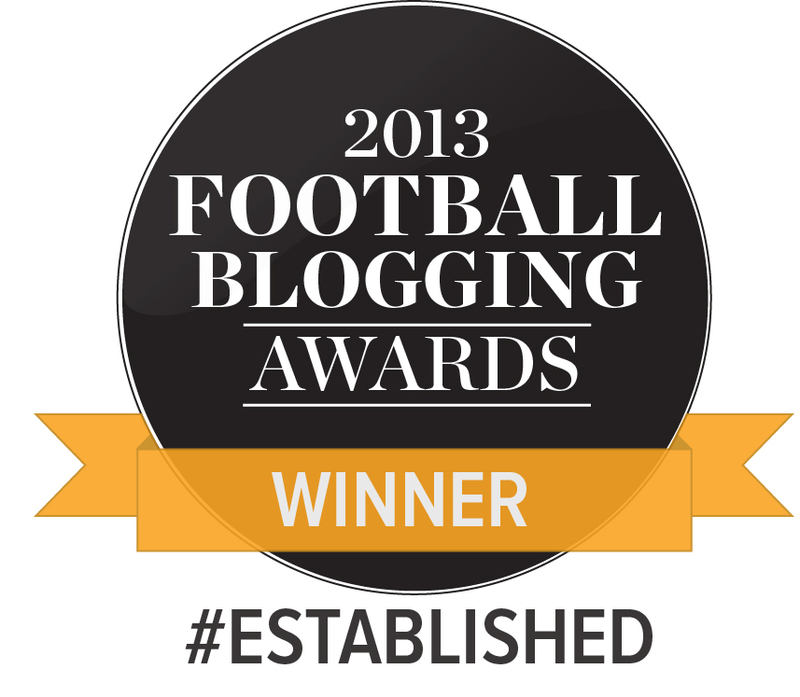 A fitting end to a day which celebrated four memorable years in charge for Phil Parkinson at Bradford City. The manager named an unchanged line up from the draw at Barnsley last week, with the Bantams still searching for their first win of the season. Port Vale were in better form coming in off an unbeaten start to the campaign with one win and three draws. Port Vale were quickest out of the blocks to impose themselves in the game. They had the game’s opening chance with a lovely flowing move in which midfielder Sam Foley placed a shot from just outside the box to Ben Williams’ right, but the City keeper tipped it finely past the post. Vale were comfortable in possession whereas City were hesitant and uncomfortable. The respective wing pairings of James Meredith/ Mark Marshall and Stephen Darby/Paul Anderson were not clicking, possession was being given away far too easily (worryingly too often in City’s own half) and the long ball tactics were ineffective. It took half an hour for City to get their first attempt on goal. Some good work from Meredith on the left resulted in a Marshall cross being scuffed high over the bar from James Hanson. Vale responded almost immediately with the dangerous and imposing forward Uche Ikpeazu having an overhead kick comfortably saved by Williams. It wasn’t pretty. The atmosphere was flat and there was a lack of enthusiasm amongst the crowd. As encouraging as it was to see new signings Lee Evans and Reece Burke seamlessly slotting in, the instability is still there from a side in which almost half the team is new rather than just the odd player. It will take time as Parkinson searches for his ideal 11 and the players’ gel. 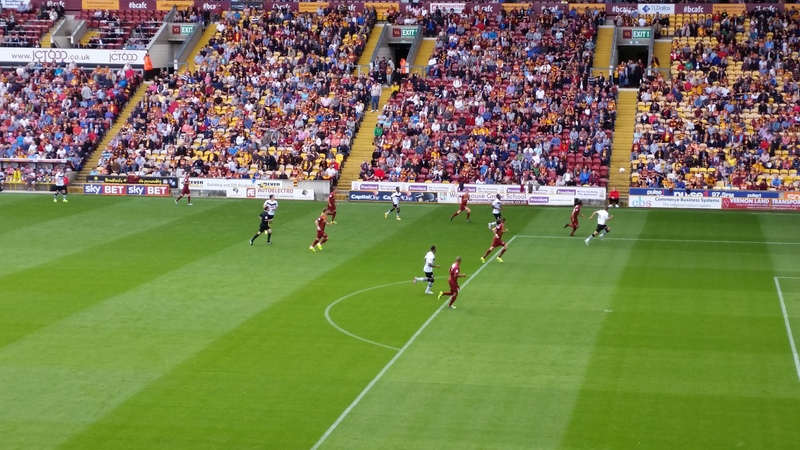 The second half was a much marked improvement from the Bantams. The increasingly influential Marshall, playing against his former club, became a key part of the Bantams attacks resulting from an effective tactical change in switching Marshall and Anderson to the opposite wings. Marshall forced a comfortable save from the keeper minutes into the second half with a shot straight down the middle, but a first attempt on target was progress. Another effective change came on the hour minute with Josh Morris coming onto the left wing replacing Paul Anderson. The former Ipswich man had struggled to make an impact and Morris looked far more comfortable on the left wing and linked better with Meredith. City were now working the ball better with more short passing and incisive play and the crowd responded with their vocal support. The attacks were mainly coming down the right hand side with Marshall whipping in a number of crosses to trouble the Vale defence but as yet to no avail. With 20 minutes to go, it was the last throw of the dice with a double substitution of Cole replacing Davies and Knott replacing Evans. Moments later came City’s best opening so far. It was Morris who picked the ball up in his own half and went on a wonderful run, exchanging neat passes with Billy Knott and his low drive inside the box was well saved by the Vale keeper’s legs. It was then the turn of Devante Cole to try and make his impact on the game. His first was an opportunity for a shot just inside the box but some hesitancy and a lack of sharpness meant the Vale defence snuffed out this opportunity. His second was a despairing leg stretch to connect with a Marshall cross but this went agonisingly over the bar. But then it was third time lucky. In the fourth and final minute of stoppage time, it was a familiar Rory McArdle long ball which bounced and caught the Vale defence off guard, and it was Cole who nipped in to convert with his knee past the keeper to the delight and roar of the home faithful. Not one for the cameras but boy was it a special moment with the final kick of the game. What. A. Relief. It was a shame the game was so bitty and scrappy. It was always going to be difficult for the game to pick up any sort of flow and momentum in which 31 fouls were recorded with the whistle-happy referee blowing up on numerous occasions. But it didn’t matter. All that matters is three points. The second half performance was a massive improvement on the first, and you have to praise the never-say-die spirit but there is much more room for improvement. Hopefully the win will give a much needed boost of confidence to take to Oldham next week, and City can push on from there. Onwards and upwards. ‹ Social media: a curse or a blessing? Spot on report. A few observations. – I like the look of Morris. He seemed to want to drive forward and floor the ball on the floor. Thought he and Billy changed the game. Agree with your comments. PP confirmed on radio that Burkes deal is to January and always has been. It was reported as being a month loan (wrongly) as youth loans must be on month to month basis.